At Bayshore Dental Center, our entire team is behind ensuring your oral health goals are realized– for you and your entire family. Our top procedures include implants, Invisalign clear aligners, and emergency dentistry. 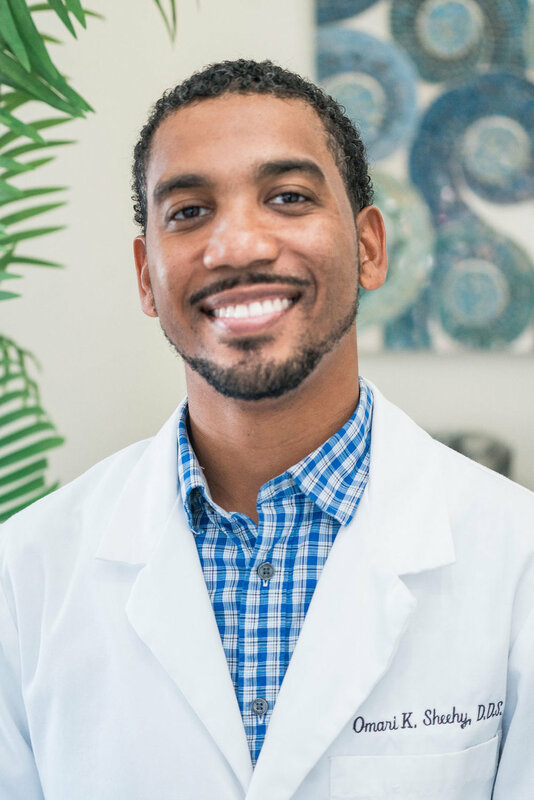 Dr. Omari Sheehy employs the latest in dental technology to provide the most information possible about your mouth and ensure your visits are quick and as pain-free as possible. Located in Seffner, Florida, we are proud to serve the surrounding communities of Seffner, Tampa, Brandon, Mango, Valrico, Plant City, Riverview, and Temple Terrace. Welcome to Bayshore Dental Center. How can we help? Dr. Sheehy in Seffner, FL can take care of any of your dental emergency needs, including root canals. ClearCorrect brings stealth straightening to you with thin, invisible trays. Bayshore Dental Center’s experience puts a stunning smile within easy reach. Bayshore Dental offers diverse payment options like Proceed financing and Dental Savers Plan so you can have a happy and healthy smile. With our convenient location in Seffner, FL, we are your local family friendly dental office, caring for the residents of Seffner, Tampa, Brandon, Valrico, Riverview, Temple Terrace, Plant City, and Mango. We manage everything from cleanings and exams for patients of all ages to clear aligner therapy, implants, cosmetic dentistry, dentures, and same-day emergency dentistry. Dr. Sheehy wants to live in a world where relationships matter and every patient comes to the dentist without fear because they know they will be greeted warmly and treated like family. We provide quality dental care, conveniently in your neighborhood and cater to your schedule. We offer Saturday hours for those that don’t want to take off from work and evening hours on Mondays and Wednesdays. Because your comfort is important to us, we offer many of the modern amenities you’ve come to expect in a dental office including warm, scented towels to freshen up with and ceiling-mounted TVs in each operatory. We believe that whatever your dental needs may be, you will be treated with the highest quality dentistry available and with the most compassionate, respectful care you deserve. Dr. O wants to live in a world where relationships matter and every patient comes to the dentist without fear knowing that they will be greeted warmly and treated like family. His family has provided healthcare to the Tampa Bay area for more than 60 yrs. Born in Houston, Tx and raised in Atlanta, Ga, Dr. Sheehy is a die hard sports fan and can be found at Raymond James Stadium on Sundays when he is not biking, running, or hiking. Truly a place of caring and professionalism with each visit. Makes going to a dentist delightful. Just such a friendly place. They certainly have a family feel; it is obvious that they truly care about their patients. I have my entire family coming here now, with continued wonderful experience all around. I recommend them to all my friends! Dr. Sheehy and his team are phenomenal! Everyone goes and beyond to ensure my family's dental needs are met! I highly recommend Bayshore Dental Center! Dr. Sheehy is awesome. I have been going to him since I moved to the Seffner area a year and a half ago. I have even referred my mother and sister who live in Lakeland, and they appreciated his service as well. My husband is next. The office is very nice, staff are professional, and Dr. Sheehy is top notch. They also use up to date technology and techniques. He is the best and nicest dentist I've ever had. I highly recommend him.